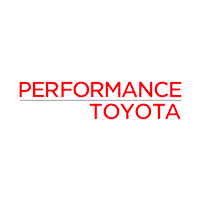 Nothing helps you get more out of every mile than proper car service for your Toyota car or truck. Of course, we know that there are plenty of car owners that prefer to get their hands dirty and perform car maintenance themselves. That’s why we keep a great selection of genuine Toyota parts in our service and parts department at Performance Toyota. Is it time to replace your windshield wipers or brake pads? Our certified technicians can match you with the correct part for your Toyota vehicle. Whether you like to do it yourself or want to schedule a service appointment with our team, we will help guide you along the way to make your Toyota perform like new. Stop by our Reading area dealership or contact our service team for assistance. Need to order a car part? Simply fill out our online order form. But before you do, be sure to consider our auto parts specials. You just might find what you need at a price you love.